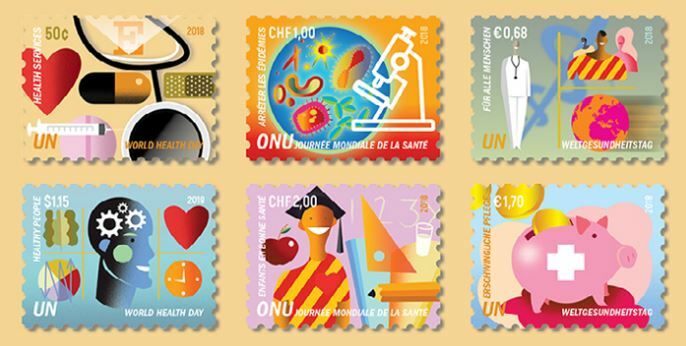 Celebrate World Health Day with special stamps. Today is the first day of issue of stamps to commemorate World Health Day and the seventieth anniversary of WHO. The stamps issued by the United Nations Postal Administration (UNPA) are messengers of peace. Human rights, the environment, endangered species and peace are all subjects of universal concern to the peoples of the world. And so is universal health coverage, this year’s World Health Day theme.